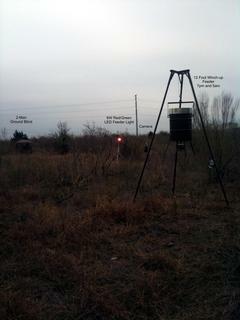 The hunting tower is finally up! I built it myself single-handedly in about 5 hours. It provides a fantastic 360 degree view of the entire area, from its perch on the highest ground in the entire pasture, next to the stock pond.